We're trying something new over the coming year -- we asked four individuals living in very different parts of the country to report to you about some of the planning-related issues their city (or region) is facing. Each will bring their own style, and their own focus. But we hope that over the months ahead you'll gain insights that relate to issues you're facing in your own hometown. 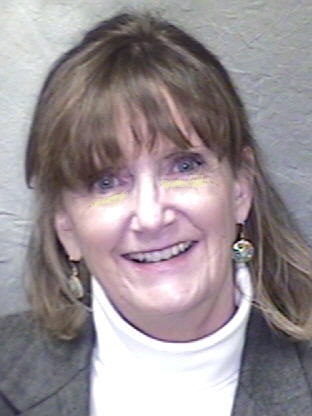 We're kicking off the series today, with Kathy Trauger -- a planning commissioner in Glenwood Springs, Colorado -- telling you a little about her hometown, and some of the issues it's facing. She'll come back to these issues, and others, in future columns. 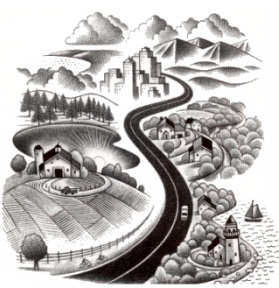 Our other columnists for this series -- whom you'll hear from soon -- are Deepa Sanyal, a planner from North Carolina's Triangle region; Jan Lopez, a consultant from North Central, California; and Anita Rasmussen, a planner in the small central Minnesota city of Sartell. We hope you'll join in conversations about their articles, including feedback or questions, on our LinkedIn group page. photo courtesy of Glenwood Springs Chamber Resort Association. Colorado. What images does it invoke in your mind? Perhaps you envision snow capped peaks against an azure sky or skiing back bowls of powder and then relaxing in a natural hot springs in the evening. Maybe you enjoy the thrill of rafting on whitewater, or exploring caves, or biking on scenic routes. 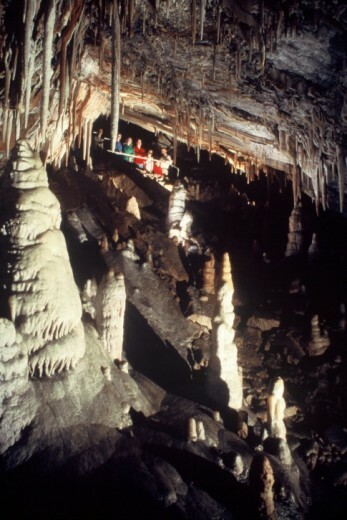 Glenwood Caverns Adventure Park: Photo Courtesy of Glenwood Springs Chamber Resort Association. Then there are those who like to peruse the unique shops in quaint towns or take in the history of the mining camps, gamblers, and gunfighters of the old west. 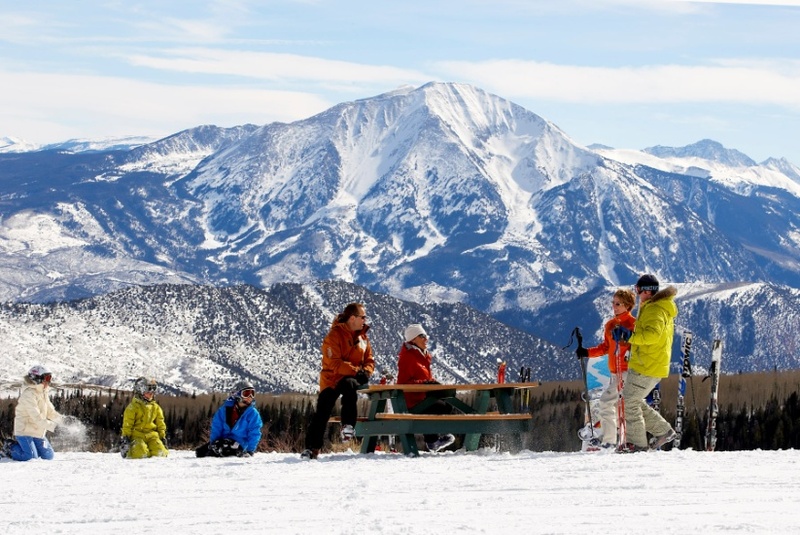 If any of this strikes a chord with you, then Glenwood Springs is the place to be. To me, it is home. 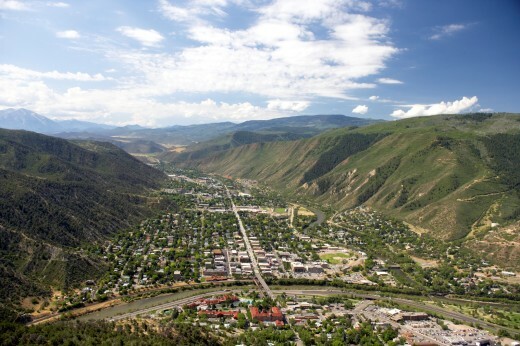 Incorporated in 1885, Glenwood Springs is located 61 miles west of Vail and 41 miles northwest of Aspen at the convergence of Interstate 70 and Colorado State Highway 82 in Western Colorado. Perhaps more importantly, we are at the confluence of two beautiful rivers, the Roaring Fork and the Colorado. Glenwood Springs looking South. Courtesy of Glenwood Spring Chamber Resort Association. We are a small town of 9,416, according to the 2010 Federal Census. 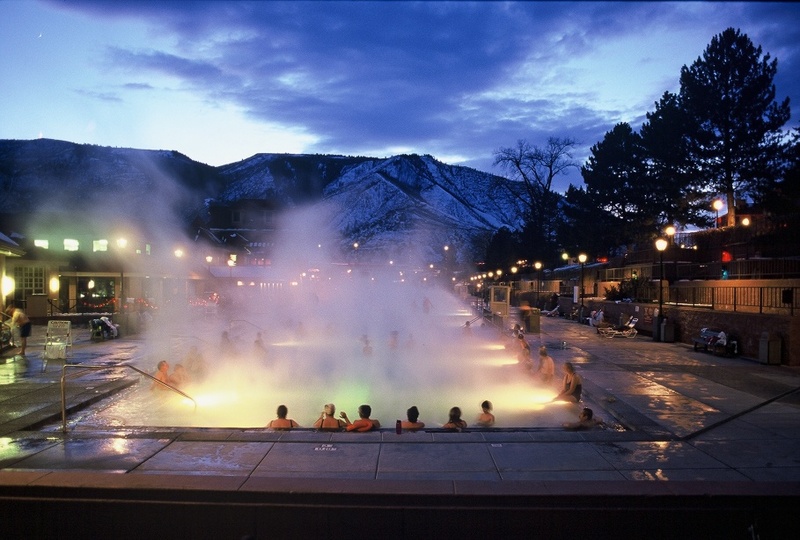 Glenwood Springs is also home to the Glenwood Hot Springs Pool, the world’s largest, attracting visitors from across the globe. Glenwood Hot Springs Pool. Photo by Kjell Mitchell. Editor’s Note: Having taken a dip in the Glenwood Hot Springs Pool, I can attest that it was a wonderful experience. "Happily, the top towns also boast heartwarming settings where the air is a little fresher, the grass greener, the pace gentler than in metropolitan America. Generally, they’re devoted to preserving their historic centers, encouraging talent and supporting careful economic growth. There’s usually an institution of higher learning, too. That, in a nutshell, is a pretty fair description of Glenwood Springs. Glenwood Springs is unique for a number of reasons. We are situated in two very narrow valleys as well as segmented by two rivers. Currently, we have a system of four bridges, two across the Colorado River and two across the Roaring Fork River connecting various areas of town. Our economy is not particularly diverse and based primarily on tourism. Cost of living is higher than many small towns because of our location between Aspen and Vail, two premier world class destinations. However, we share the same “opportunities and challenges” as many of our small town counterparts across the United States. Our “main street,” Grand Avenue, is a state highway that transports an average of 24,000 vehicles each day. Our town also has Interstate 70 running through it, bringing visitors from the east and west. What’s more, we have a heavily used freight and passenger rail corridor running through Glenwood along the Colorado River. Along the Roaring Fork River, we have a rail corridor which has been “rail banked,” and is currently being used as a bicycle/pedestrian trail. However, the integrity of this corridor must be legally preserved to allow the potential for a future return to rail use. The trail is managed by our local transit agency, Roaring Fork Transit Authority (more on this unusual arrangement in a future post). We are deeply concerned with the preservation and revitalization of the historic areas of our town as well as the reclamation of an area known as “The Confluence” which, as the name suggests, is at the confluence of the Colorado and Roaring Fork rivers. Until recently, this area was the location for our wastewater treatment plant. The Confluence is close to our downtown and the hope is that it will be developed to complement, rather than compete, with the historic downtown area. Transportation is a huge issue. We continually struggle with the balance between moving people through our narrow valley to lucrative jobs “up valley” in Aspen, while safeguarding and promoting our local businesses. We strive to make Glenwood Springs a multi-modal, pedestrian and bicycle friendly town. Sometimes it is like trying to cram ten pounds of manure into a five pound bag … something has to give. 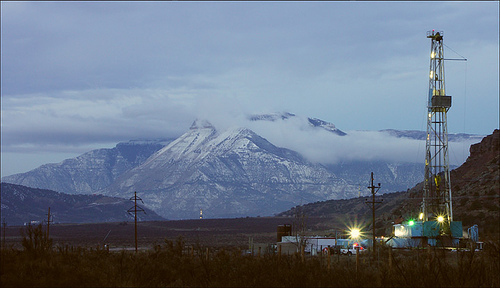 Oil Well -- Western Colorado. Photo courtesy of Glenwood Post Independent. As mentioned earlier, the primary economic driver for Glenwood Springs, is, and has been, tourism. Yet deep within the surrounding mountains -- and just a few short miles to the west, lays one of the richest oil and gas fields within the United States. The question of how to balance economic diversity and development is often a hot-button issue here. Over the coming months, I will report to you about a range of issues facing Glenwood Springs: transportation, redevelopment, historic preservation, economic diversity, and balancing a variety of interests and needs within the community. 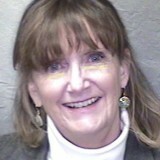 I hope you join me and provide your comments and questions via the PlannersWeb LinkedIN group page.